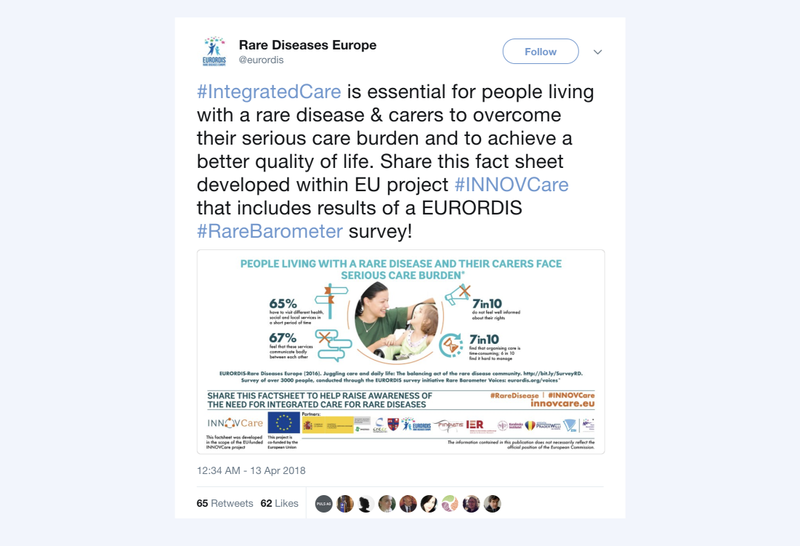 INNOVCare is an EU-funded project that seeks to ensure that the social needs of people living with a rare disease are voiced and taken into account. The objective of the project was to highlight the importance of integrated care for people living with a rare disease. We have drafted the story building on the facts of rare diseases; the challenges faced by people living with such rare diseases and highlighted the importance of integrated care to overcome these challenges. 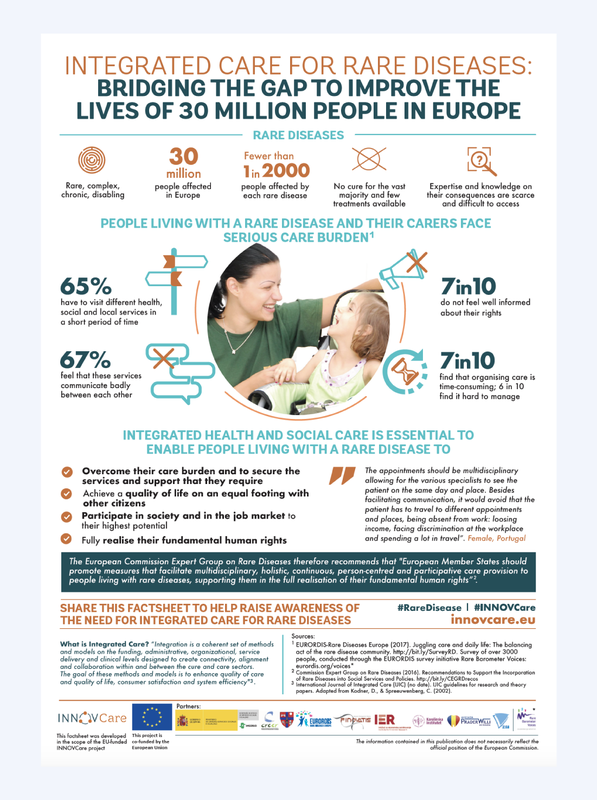 The story was visualised in a factsheet infographic, keeping the people with a rare disease and their carers at the center.